Acolyte is a general term which includes not only servers, torchbearers and lighter of candles but also crucifers, thurifers, kite flyers and banner-bearers. 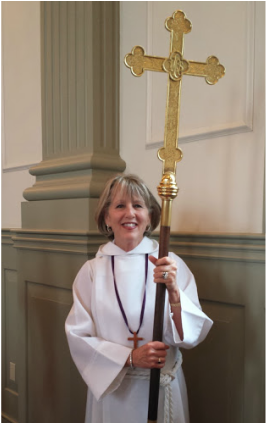 We are seeking acolytes to serve at the 8am and 10:30am services and accepting children 10 years and older and adults to help serve during the two services. Shirley Eells, adult acolyte, along with the priest trains the acolytes. Adults are welcome as acolytes. Just ask Shirley how much fun it is!